Once upon a time, adopting a child was a closely-guarded secret, known only to a small circle of family and friends. Today, it’s just another way to start a family — and, for many hopeful parents, a cause for celebration. So if you’re just beginning your adoption journey and are looking for a fun way to announce your news, take a look at what other hopeful adoptive parents have done. Keith and Lynne pulled out all the stops — and their poochies — in their charming announcement. As did Troy and Nicole. There were no dogs, but lots of humor when Hannah and Aaron announced the news that they were looking for a match with an expectant mother. When Adam and Shelli got matched, they couldn’t wait to share the news with their family and friends. In their adopting announcement, Kailey and Dru left no doubt about what they were hoping for. Katie and Luke‘s adoption announcement was simple yet memorable. So was Laurie and Sean‘s “pregnancy” announcement. Adam and Khylee let the light shine in for their shoot. While Deborah and Tim braved the cold. Debbie and Kevin took more of a sit-down approach for their announcement. And so did this couple. Some people shout their adoption news from the rooftops. Adam and Noelle took to the streets. Adopting is an adventure, and that’s the theme that Erica and Jay played up in their announcement. Angela and her husband’s message couldn’t be cuter. 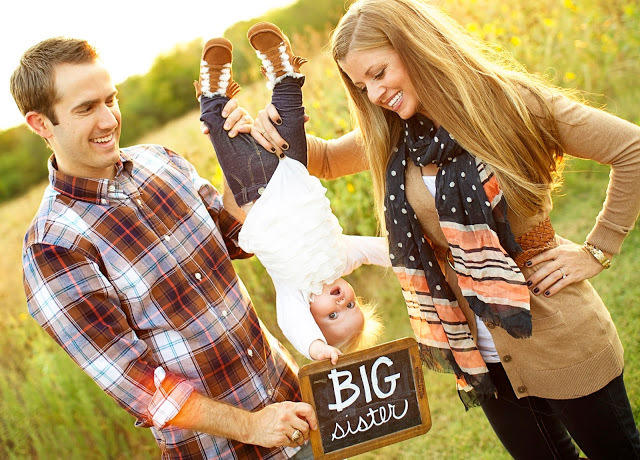 Eric and Alisha also turned their announcement into a family affair. The Morses sealed their announcement with a kiss. Stephanie and her hubby handled theirs with a hug. 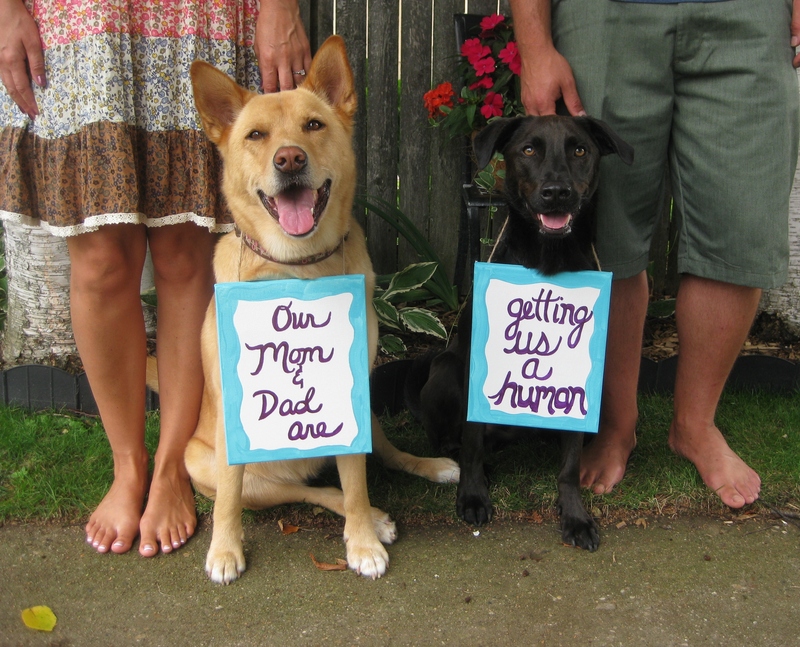 Scrabble lovers will love Kara and Dave‘s adopting announcement. 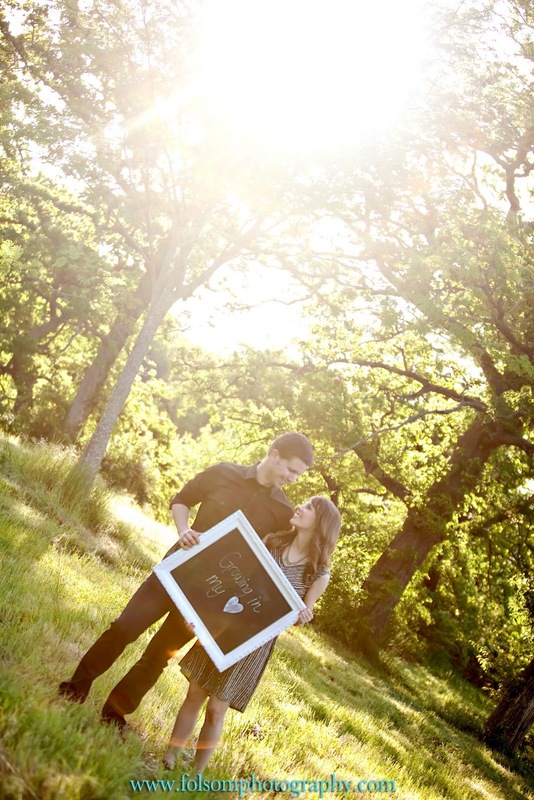 Photographers Kori and Jared let their photo do all the talking in their announcement. If the shoe fits…Briana and Alex used a similar theme for their announcement. If you’re into puzzles, here’s another playful approach you may want to consider. Or you can get right to the heart of the matter the way this couple did. Candace and Chris used a similar approach for their announcement. Sometimes all you need is a prop. Or a piece of poetry. Kristen and John let everyone know that they were waiting and ready to begin their adventure. 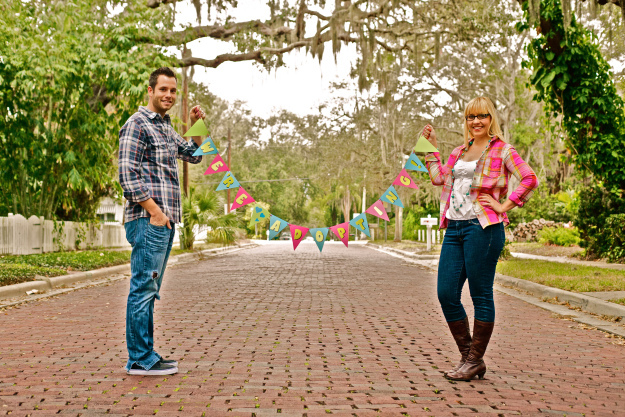 Emily and Ryan prayed a lot to find their adoption match, but they also got resourceful. Bekah and Arnie saw eye-to-eye in their announcement. While Prudence and Les made sure everyone knew they were packed and ready to go wherever their adoption adventure took them. Heather and Chris‘s chalk sign said it all. Sara and Steve turned their news into a celebration. As did Maria and Cole. Incorporating dates is another fun way to tell your adopting story. This couple announced their special delivery this way. While Jared and Michele did it this way. No matter how unpredictable, challenging or frustrating your adoption may be, it’s a life-changing event that is worth celebrating. Looking for ways to celebrate your adoption? We’ll have lots more ideas in a future post. Previous Post9 Signs The Expectant Mother You’ve Been Matched With Is Right For YouNext PostWhy Won’t Alberta Let Us Post Our Adoption Profile Online?